How is one to remember Lal Singh Dil? The literary status of Dil in the world of Punjabi literature was never disputed and he is often described as the poets’ poet. Punjabi poet Surjit Patar says: “He will be counted as one of the top Punjabi poets of the twentieth century.” However, there was more to Dil’s life than is difficult to slot. It was a life of immense struggle as his story stands witness to the deep-rooted human discrimination in the name of caste, which, a creation of the Hindu way of life, is yet to be found in all major religions that have been based on conversion from Hinduism. Sadly enough, it has also been a part of the Left group cadres, which ideologically do not recognize religion, caste or creed. So Dil’s various attempts to transcend the caste barrier by joining the Naxalite movement of the late sixties in Punjab or later converting to Islam with the new name of Mohammad Bushra met with frustration that his simple poetic heart opposed. 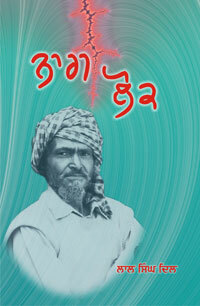 However, his life and struggle raise the issue of caste prejudice and a big question mark after his death. Punjab has a higher Dalit percentage than that of the other states. 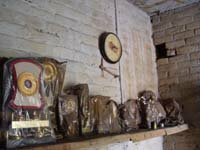 Scheduled Caste form about 30 percent of the total population and eight percent of these castes live in the rural area and are landless and mostly Sikh Jats are the land owners. The Dalits take the religion of their masters as per old practice. 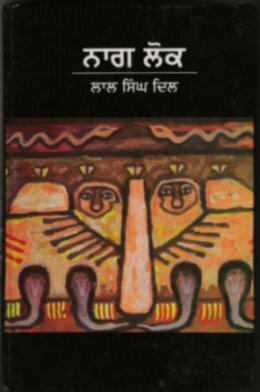 A great poet he was undoubtedly and his collection of poetry Satluj di Hava (1971), Bahut Saare Suraj (1982), and Sathar (1997) as well as his autobiography, Dastaan, enjoy an exalted place in Punjabi letters. However, his life was a constant struggle. He was never married nor did he enjoy the companionship of any woman. His body and mind wrecked by police torture, he took to country brew. When the Naxalite movement was crushed all the activists went back to their class folds. Dil had nowhere to go to. His dreams for a better life were gone and till the end he remained a ‘proclaimed offender’ in police records because there was no one to help and set the record straight. 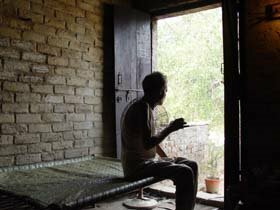 Sadly, many Naxalite writers and artistes were to receive honours, posts and money from the government but even the meager pension of Languages Department, Punjab was not to find its way to Dil’s hovel through his long years of penury or illness. For some years after his return to Samrala, Goria and he reopened the mosque in Samrala with Dil saying the morning and evening azaan (call for prayer). Goria recalls: “God is everywhere and our effort in opening the mosque was directed to give confidence to a minority community who should not be afraid of going to their own place for prayer. However, when people started coming to the mosque, the Wakf Board intervened and took over. Well, the Wakf Board must be having its own reason because political ideology apart, Dil and Goria were just a bit too fond of their drink. Dil was a legend in his lifetime and now after him his poetry lives and so does his struggle and protest. He had told this writer that one day people would come and sing qawwalis under the banyan tree outside his hovel. It will happen one day, for in ‘Manto-town’ (Samrala being the birth place of Saadat Hasan Munto) Dil was the true faqir and Manto and Dil were forever buried in many a heart. Many suns have died since these lines were written but their time has still not come. So more lines are being created, more suns are being done to death, in that brick dwelling. Inside the four brick walls, the sun that survived, is wreaking havoc with its heat. The room is hot like a furnace. In the middle of the room, over a string cot, lies Lal Singh Dil, writing the last paragraph of his 78-page poem. On the cheap register that bears the lashes of his personal history, Dil has noted down the day when he began writing the poem, two years ago. In front of his cot lies another cot, like a berated lover. Few dirty cups share a table with few saucers and two kettles; one made of cheap bone china and the other of aluminium. An old iron trunk plays foootsie with rust in one corner. Numerous mementoes weigh heavily on a cement slab. Their plastic covers have never been lifted. The floor near Dil is littered with Beedis and burnt and unburnt matchsticks. Lal Singh Dil is sixty-three now. He wrote these lines in 1967 when the thunder spring of Naxalbari reverberated in faraway Punjab. For the first time in his life, he felt as if his life had a mission. There was no point in remaining only a poet now. So Dil picked up a gun and joined the movement. Mein kis da putt han? It is a manifestation of Dil’s longing for love, which he did not receive from anyone except his mother. Born in the chamar (tanner) community in Samrala town of Punjab, Dil was the first member of his family to finish school. His mother sold off her ear rings to make sure that Dil went right up to college. Those who know Dil since college days say that he was very handsome and because of this and his poetry, many girls fell for him. There was one girl who wore her hair in plaits and lived in a neighbouring village. She was from an upper caste family. Dil’s friend lived in the same village and so Dil would see that girl often and developed a liking for her. But she died of cerebral haemorrhage. Later Dil would find another girl who looked like that girl, wearing her hair in the same fashion. One day he was invited to that girl’s house where he was offered tea in a steel tumbler. Afterwards, the girl’s mother picked the tumbler with a pair of tongs and threw it in fire to purify it. Dil writes in his autobiography Dastaan (Story) that he can still hear the clank of that tumbler thrown in the fire. Dil began to write poetry during his college days. One of his early poems was published by Preetlarhi, a leading literary journal of Punjab in those times. He was working as a daily wage labourer when the peasant uprising in Naxalbari spread like wildfire. That was the time when Dil wrote a poem called ‘The shades of Evening’. For nine months, Dil would face extreme physical torture. He would be subjected to more torture than his fellow comrades because of his caste and because of his poetry. Soon after his release from the prison, Dil had to go into hiding once again. Only this time the period of hiding was much longer. He fled from his hometown to a village near Lucknow in Uttar Pradesh, where he worked as labourer in mango orchards. He made a comeback in mid 80’s, after a gap of fifteen years. By that time, the memory of Lal Singh Dil had faded away from people’s memory. He was an icon in 70’s, Samrala’s own Che Guevara. Fifteen years later, he had to open up a tea-stall to make his ends meet. Even that did not last for long. But what did, and still is, is Lal Singh Dil’s ink. 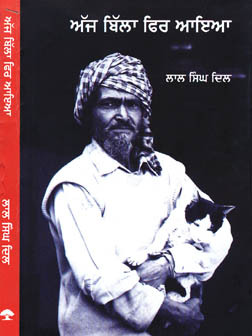 In his one-room hermitage, Lal Singh Dil, the biggest name in Punjabi free verse poetry, spends his last days in penury. He told someone recently that he does not expect anything from anyone. I do not want to write about my personal sorrows. Lal Singh Dil’s wounds are too many to heal. And something has to be done with his sorrows also. The shades of evening may have to turn like old once again. This journey became possible because of my friend, filmamker Ajay Bharadwaj. His recent film Kitte Mil Ve Mahi features Lal Singh Dil as radical poet. Born to lower caste, Lal Singh Dil made name with his pen. In the late sixties, when he used to recite poems, thousands of people would gather. Lal Singh Dil was a celebrated poet, akin to his contemporary revolutionary poets, Avtar Paash and Sant Ram Udasi (aka the “Punjabi poets”). He revolted against the unjust regime and fought not merely with his pen, but with a gun, as the American writer Ernest Hemingway fought. Lal Singh Dil, once a firebrand in Punjabi poetry, is currently going through tough times in his hometown of Samrala. These days, most of his time is spent in a dark 10 x 13 room. One room corner still has marks from the last monsoon leakage and another has a small kitchen. Two walls of his room are colored with some written couplets. Except for a long row of mementos, it is hard to find anything in order. 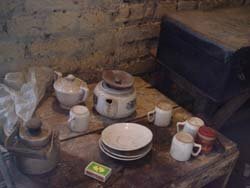 As soon as I reached his place, he came upstairs without looking at me, even without any query, and started making tea. “Now I am in my late sixties and my health is quite poor, even sometimes I find it hard to breathe, otherwise everything is fine,” he began to speak as if he was talking to himself. When asked about his financial resources, he whispered, “Earlier, I was running a highway tea stall, but three years back that too had to close down. After that, conditions were severe; even sometimes I didn’t have money to post letters. Now, a publisher gives me five hundred rupees ($13) every month as royalty for my books. Recently, I got some money for honor, which I deposited in a bank and I’m waiting when it will be finished. You can’t read or write with an empty stomach. Dil was the first in his family to finish school. On every step of his life, he faced humiliations because of his low caste. In the early sixties, as he was studying in his tenth standard, his first poem appeared in the famous Punjabi literary journal Preetlari. In the early seventies, he compiled an anthology of poems titled “Satluj di Hawa”, meaning “The Winds of Satluj” (one of the five rivers of Punjab), which is equal to an epoch in the history of Punjabi revolutionary poetry. “With the thunder of spring” (phrase used for an armed peasant uprising of the mid-sixties) he too joined the Naxalite movement and attacked a police station with his fellow comrades. Later on, he was arrested and imprisoned for nine months.